Something I started thinking about after writing my I Believe In Art Manifesto was that believing in art means believing in artists too. I think it's important for artists to learn from and support each other and I believe an artist's life can be just as inspirational as their art. With all that in mind, I decided to create an "I Believe In Artists" interview series so I, along with you, can get to know some of my favorite artists better. 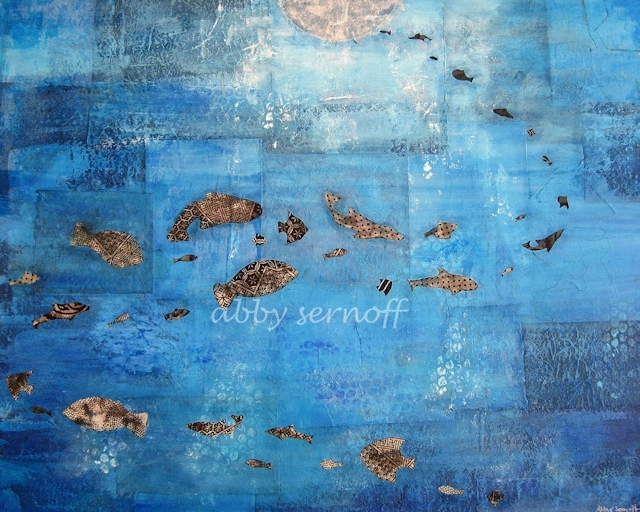 My first interview is with Abby Sernoff of 111 Collage Design, an artist I very much admire and relate to. 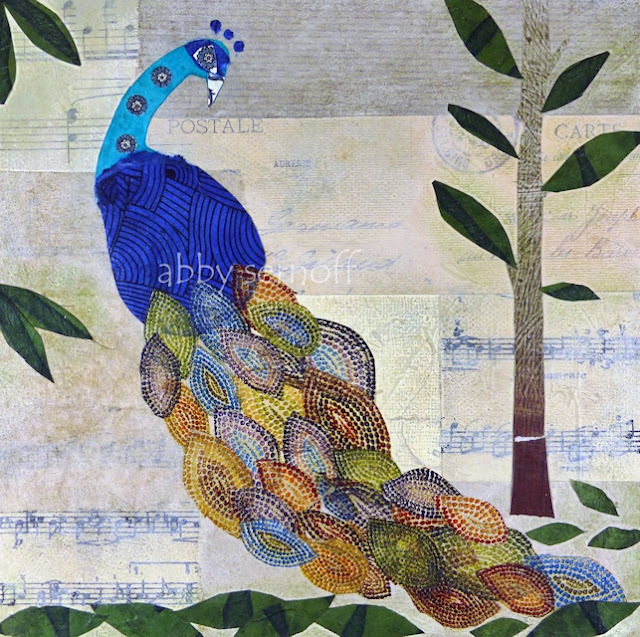 I first discovered Abby's nature inspired collage art on Instagram and instantly fell in love with it. I purchased a couple of her mini prints (available at her Etsy shop) for my home and looking at them gives me the same feeling of serenity and delight that spending time in nature does. Abby was kind enough to take the time to answer the following questions I had for her. I think you will find her answers as inspiring as her artwork. I know I did. 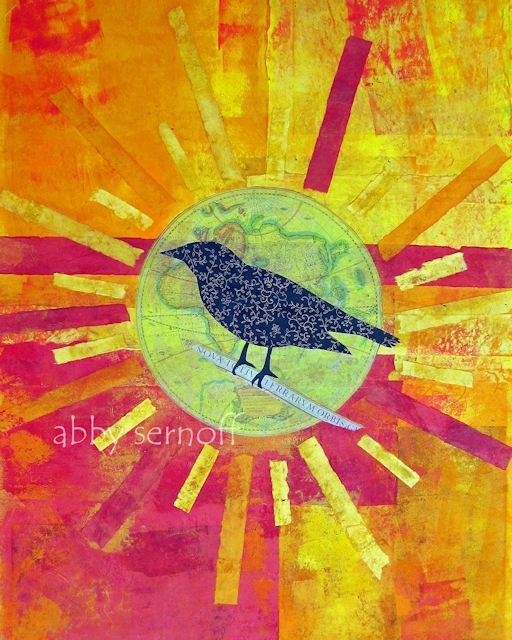 Abby: This is an easy one, because my "tag line" reads Mixed Media Art Inspired by Nature. Abby: This is an interesting question for me to answer! I often refer to myself as an "accidental artist." I actually have an MA degree in Speech Language Pathology, and simply figured that my career path was set for life. As I mentioned earlier, I became extremely ill, and after that, was no longer able to work in my field. 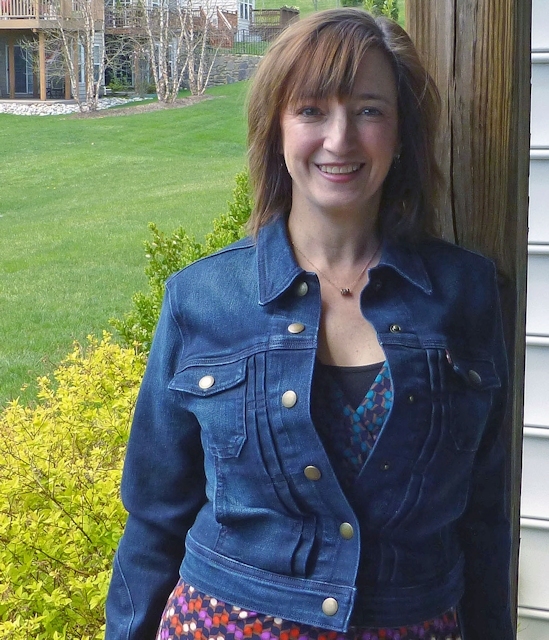 About 10 years ago I took the The Artists Way course, which is a book/program by Julia Cameron. 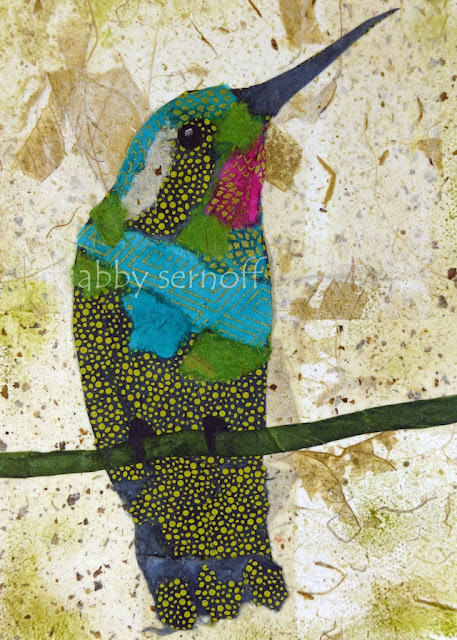 About halfway through I decided to create a collage of a bird, having never really made anything before. I certainly didn't think of myself as an "artist!" 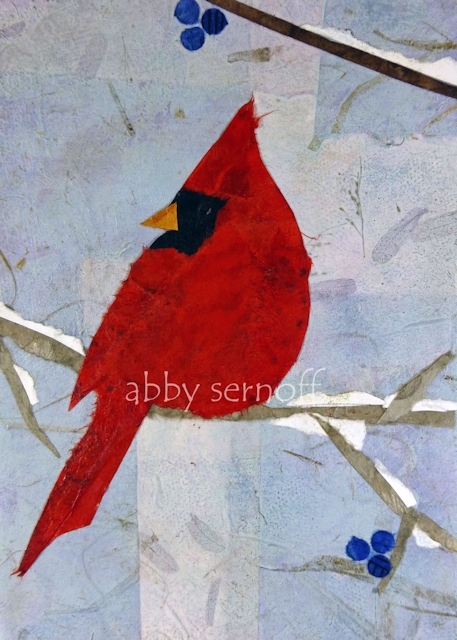 From that one little bird (a cardinal), things really took off from there - sales, commissions, exhibits etc. But the inspiration to create really stems from something much deeper. I can only speak from personal experience, but when I became ill, I unconsciously started redefining my relationship with nature and my place in the world in ways I had not before. I became particularly intrigued by birds. To this day I find it impossible to stand in the presence of a peacock with its feathers open and not believe there is something greater than ourselves at work. I also think a lot about what birds represented to various cultures living before us and as symbols and messengers, particularly in mythology. I am inspired by the fact that people have been asking the questions "why are we here" and "what does it all mean" since the beginning of time and visual art is one of the multitudes of ways humans have addressed these questions over the years. I have a book of Animal Totems called Animal Speak by Ted Andrews, and whenever I create a new bird collage, I always research what meaning the particular bird might carry with it. Abby: Definitely when it all starts to come together. Because I work in collage (and about 95% paper) it's hard to know how things will turn out. So you have the background (I almost always use canvas or a cradled wood block) and then you have all these disparate pieces. When they come together, and I feel it all "works", that's the best feeling! Abby: Well, I could say getting the bird's feet just right ha ha - sometimes that takes as long as making the birds themselves! But probably I would have to say the most difficult is the business side of things. Since this is not my first career, I know there are always parts of a job you love and parts you don't enjoy as much. Finally after 10 years I feel confident in my work as an artist, but sometimes it's still hard to "put yourself out there." I imagine most people feel that way. I rarely let it stop me though. Abby: Great question! I believe everyone is creative, even if it's not in the "traditional" sense. I really can't draw well, or even paint, but found my artistic talent through my love of paper and collage. My husband manages people - believe me - that's an art form!! If you look around almost everything surrounding you was someone's idea. I believe we are all artistic, creative beings. I believe art is a form of expression and communication that transcends language, gender, race, and class. I believe art unites us all. 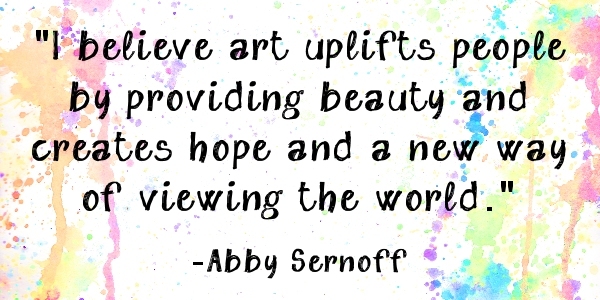 I believe art uplifts people by providing beauty and creates hope and a new way of viewing the world. And I would very much like to believe art has the power to heal. Thank you Abby for your informative and thought provoking answers! You can also connect with her on Instagram and Facebook. 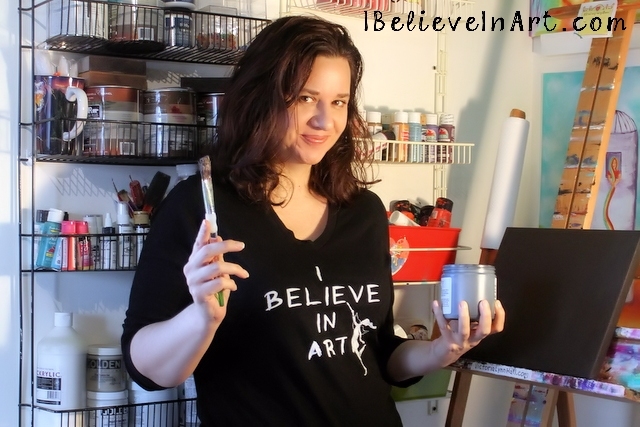 Would you like to be featured in an upcoming "I Believe In Artists" interview post? 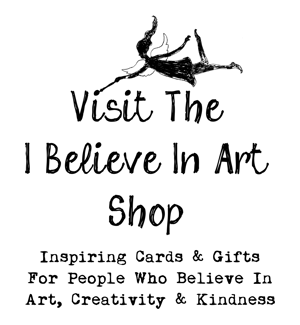 Send an email with a link to where your art can be seen (website, etsy shop, social media, etc.) 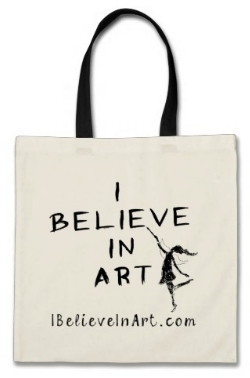 as well as your answer to the question "What does believing in art mean to you?" to mail@ibelieveinart.com for consideration. Inspiring artist! I love the story and art. Can't wait to read about more artists! Wow, as a collage & papercraft artist myself, I LOVE Abby's art! She sounds like a kindred spirit...Mary Oliver is my favorite poet, I love Rumi, too, & Animal Speak is one of my favorite references for spirit animals/totems. : ) Thanks for sharing.